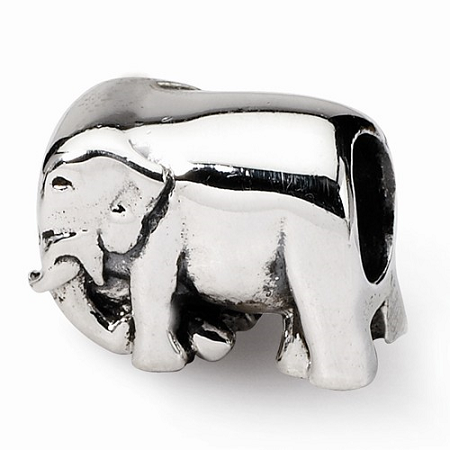 Sterling Silver Reflections Elephant Bead: With diameter of 4 mm, antique finish bead is made up of Sterling Silver alloy. Shape of bead resembles elephant. Attractive sparkling reflections made it precious. It has length of 7.27 mm with width of 10.00 mm.Well polished bead is white in color.